I’ve found that the only thing wrong with dogs is that they don’t live as long as we do. It's likely that as we navigate through life, we will have quite a few companions keeping us company on our life’s journey. While there are exceptions to every rule, there are a number of dog breeds that live the longest and are known to have longer lifespans than most other breeds. Generally, a dog's lifespan has already been decided for the canine by genetics. Sadly, some studies found that large dogs will usually die younger for several reasons. 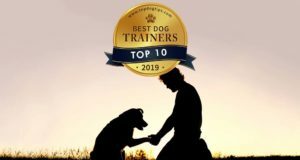 Those who want to know their dog's genetic makeup and find out how long their dogs may live can try a dog DNA testing kit which will reveal a lot more about your pet than just the breed make-up, including potential health problems and possibly lifespan. Fortunately for humans, studies have shown that dogs increase our lifespan just by living alongside people. To give something back, we can try and provide the best possible healthcare and enough attention for pets in hopes to extend their lifespans. And in fact, that is possible. Some studies have found there's a way to increase our dogs' lifespan simply by accurately assessing their body weight and health, and improving the diet. Many dogs can live a longer and fuller life if we take the time and ensure they’re healthy and stress-free. Knowing how to care for that specific breed is particularly important. Every breed has certain requirements, and when you adhere to them, there's a chance to get your pooch an extra year or two. Obviously, being proactive about your dog's health is the best way to keep him thriving for years to come. From the first day you adopt your dog, it's up to you to feed him a healthy diet, get him to exercise and follow your vet's tips on what's healthy for your dog, such as specific vet recommended dog toys, treats and vitamins. The Chihuahua is the smallest dog in the world and are fiercely loyal when it comes to their owners. It's also one of the most popular breeds. A small dog with a huge personality, they often don’t get on with other dog breeds and very much prefer their own kind. They fall under the list of the best watchdogs, because they are vocal and extremely protective of their owners. However, Chihuahuas aren’t suitable for a household with small children. Affectionately known as the Yorkie, this little toy breed has a very large personality. They are feisty and are one of the most popular breeds in the USA today, due to their small size and adaptability. The Yorkie makes an amazing companion dog, and because of their size, can be taken with you almost anywhere. 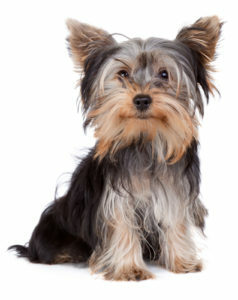 This breed needs a lot of attention, proper Yorkie diet, and isn’t a dog that can be left alone for long hours at a time. They are perfect for new or inexperienced dog owners. This little sausage dog with the long body and short legs is a playful breed who can be stubborn due to their hunting instincts. They can and will chase animals smaller than they are, and tend to be aggressive towards strangers and other dogs. The Dachshund has a loud bark and he will use it whenever he feels his home is in danger. 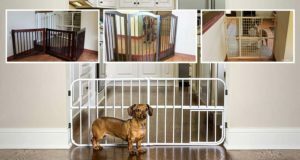 This small breed is not great with children, but with socialization from a young age and proper supervision, a Dachshund could be a great family pet. Pom, Pom Pom, Pomy – all adorable nicknames for this small spitz breed who looks like a ball of fluff. The Pomeranian is a very active dog who is friendly, and extremely playful. They enjoy nothing more than a game of chase or fetch. Pomeranians can however be aggressive towards other dogs. This breed does great with training, and they enjoy being the center of attention. Due to them being very alert, they can and will bark a lot. So, early training to avoid this issue is advised. This non-sporting dog comes from Tibet and has an alert demeanour. With a keen sense of hearing, this breed may prove to be a bit too noisy for apartment dwelling owners. They are weary of strangers, but extremely loyal towards their families. 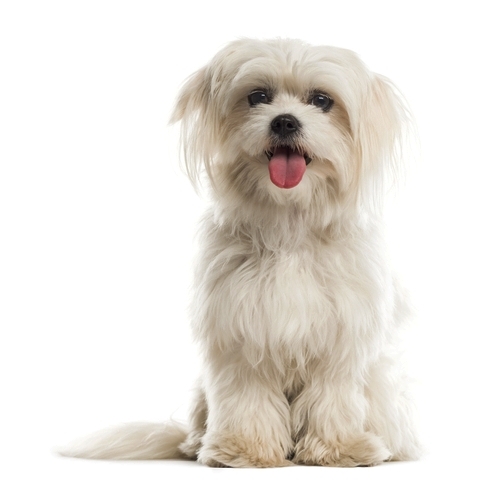 The Lhasa Apso can be aggressive if not trained from an early age. This breed is independent, so patience is a virtue when training them. They have very few health problems, although they may lose their vision as they grow older. This gentle and bright toy breed is very playful and curious. They don’t need a lot of outdoor exercise, so the Maltese does very well in apartments. They are polite towards people as well as other dogs, and they shed very little. As you can see in the photo to the right, they do have long hair that will require regular grooming. Owners interested in the Maltese will need to be sure that they have time for regular bathing, brushing and haircuts. Either that, or you'll need to have the extra money in your budget for professional grooming costs. The poodle is one of the smartest dogs around, which makes them very easy to train. 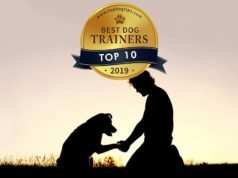 If you're interested in a canine companion that would enjoy mentally stimulating tasks like agility and nose work, the Toy Poodle may be a good choice. They are lively and get on great with other dogs and pets as well. This breed makes a great watchdog, because they are alert and aware of their surroundings. As a more sensitive breed, they enjoy living a peaceful life. The oldest living Beagle was Butch, who turned a whopping 27 years old. Even though he lived longer than the average hound, he is an exception to the rule. These scent hounds are even tempered, gentle, and merry. Beagles aren’t aggressive and love human company more than anything else. They can be standoffish when it comes to strangers and make very poor guard dogs. Intelligent and single-minded when it comes to tracking a scent, these dogs are amazing companions. The even-tempered, flat faced Pug is another dog on the list who makes a perfect watchdog. They are playful and very outgoing, and they enjoy making their owners laugh. It's been observed that they will usually live up to 15 years with the right diet, lifestyle and exercise. The Pug isn’t a very active dog, so they don’t need lots of exercise. This breed is also perfect for new dog owners looking for to start caring for a dog. This soft haired toy breed is affectionate, playful and very smart. In general they are a quiet breed, but can get barking when the event for it arises. The Coton de Tulear loves meeting new people and are amazing with kids and all other animals. This happy-go-lucky dog breed loves to be loved. They are very affectionate and a great choice for families with gentle children. The charming Coton de Tulear will work his way into any dog lovers heart. RELATED: How Long Do Dogs Live? This pleasant and playful breed vary a lot in personality. They need plenty of exercise, and require frequent grooming. The Miniature Schnauzer is a high maintenance breed, so be prepared for that if you're considering adopting this breed. They are an adaptable breed, and are small in build. The Mini Schnauzer is good with other pets and new people. They're an ideal dog for potential pet parents who are looking for a traveling companion. Sweet, playful, and protective, the Scotch Collie is a highly intelligent breed who is easy to train and is well-known around the world. They are also known for succeeding in agility competitions and other events that are both mentally and physically taxing. The Scotch Collie tends to be clingy with their owners and very gentle with children, often times wanting to herd them and care for them like a mother would. They get on great with other pets, but are reserved when it comes to strangers. It's a great dog to own and care of, and they have relatively long lifespan. Resembling the Miniature Doberman Pinscher, the Toy Manchester Terrier is definitely not like it when it comes to personality. This breed is sensitive and gentle and has hunting instincts. This means they may well chase smaller pets and animals when given the chance. These dogs are playful with members of the family, but are not as active as some of the other breeds on this list. The Toy Manchester Terrier is an all-round low maintenance dog as well. As one of the dogs who can live the longest, I didn’t expect to find this dog on the list. This breed is known for their unique howling and are not good with kids. They are gentle and friendly towards people, but shy around strangers and people they don’t know. The New Guinea Singing Dog isn’t people aggressive. However, they aren’t recommended as house pets, because they are still very closely related to their wild cousins. One of the reasons they live so long is because they haven’t been bred with other breeds of dog yet. Affectionately known as the Aussie, these dogs are very devoted to their owners and would do anything for them. They also have one of the longest lifespans out of all breeds. They’re a high energy breed who needs a minimum of 2–3 hours exercise and play time a day. This is not a dog for the lazy person. The Aussie is intelligent, and because of that they learn very, very fast what is asked of them. The eye color of this breed has a broad range including hazel, blue, green, amber, and brown. One of their unique traits is that they sometimes having two different colored eyes. Next articleCan Dogs Drink Apple Cider?